When you talk about the best flashlights on the market, Surefire is a must mention brand. The surefire brand has been in this field for long and they offer some of the best flashlights. The brand is known for its quality tactical lights with exceptional features. There is another version of this light is popular x300 ultra. In this article, we will talk about the surefire X400 ultra LED light. This surefire model is a weapon light that is ideal for attaching on long and hand guns with a MIL-STD 1913 rails. The torch is made of hard anodized aluminum. It has a maximum of 600 lumens and produces a red laser sight. Also, it has a TIR lens that assists the beam to reach to both close and distance areas. The surefire x400 flashlight is very easy to use with its ambidextrous switching. All you have to do is to switch on the type of light that you want. It can withstand different weather conditions as it has an O-ring and its gasket sealed. These and other features below make this light to functional exceptionally. The surefire x400 ultra flashlight is sturdily built to last long. The flashlight is made from hard anodized aluminum body. Aluminum is a strong and long lasting material. It can resist impact and other tough conditions. In addition, aluminum is lightweight compared to other metals. This means that the flashlight is light but still durable. Apart from the aluminum construction, the flashlight has a tempered window, O-ring and gasket seals that make it to be weatherproof. The light is very powerful and produces great illumination. With a maximum of 600 lumens, expect this torch to clearly and excellently light your area of focus. The TIR lens shape the versatile beam with enough reach and surround light for both short and longer range. On top of that, it has a 5mW class IIIa red laser sight that is extremely visible to the human eye and seldom requires re-zeroing. Surefire x400 ultra torch is very easy to use. It comes with an ambidextrous switching which is based at the rear of the torch body. The switch can be operated with one finger by pressing the switch on either side for momentary-on activation, flip up or down for constant on activation of the light. Momentary on is for blinding an attacker. There is also another switch based at the rear of the flashlight that permits you to activate white lighting only, activate white light illumination simultaneously with the laser sight, activate the laser sight only, and disable the whole torch. It is versatile in use. 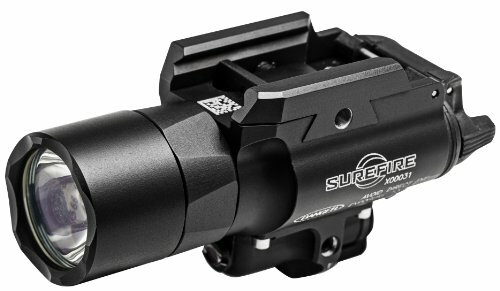 The x400 weapon light from Surefire has an integral aluminum T-slot mounting system. This makes it possible for attaching on different types of guns. The T-slot mounting system is made of aluminum which is a very durable material. So, it provides strong attachments to railed hand guns and long guns that have MIL-STD 1913 rails. Attaching the flashlight on your long gun or hand gun won’t be a burden. This is because the light is very light with a weight of 0.5 pounds. This means that it won’t affect with your shooting range. Also, it can function for 1.75 hours per set of batteries. But if you intend to use the torch for longer hours, then you will have to carry spare batteries for replacement. All you have to-do-so is to securely attach the light to the rail of the gun and switch it on when in line of duty. The surefire x400 ultra led light is a versatile flashlight. It can be used by law enforcers, military, and for people who are defending themselves. Its excellent features will ensure that it offers reliable light for different uses. The attachment screw needs to be handled with care while tightening or else it will snap off. The switch of the light is made of plastic which isn’t reliable and durable. Construction – surefire flashlights are normally made of durable materials. A flashlight should be well built so that it can last long by withstand the hard conditions it faces. This includes tough weather conditions and impact resistance. Flashlights from surefire are either made of anodized aluminum or polymer body. These two materials are very strong and can survive in hard conditions. The surefire x400 ultra light is made of hard anodized aluminum. So, it is very durable. 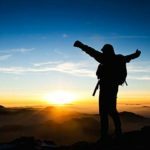 Number of lumens – how bright a roach illuminates heavily relies on the number of lumens it has. The higher the lumens a light has the brighter it lights. Surefire creates flashlights with varying number of lumens. It is important that you choose an LED flashlight that has the lumens that you want. For instance the surefire x400 ultra light has a maximum of 600 lumens. This is bright enough and it covers a wide area with the help of the total internal reflection lens. 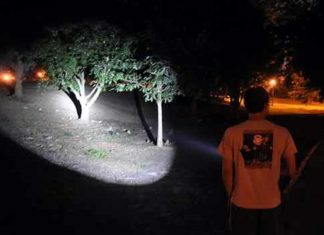 Run time – before you buy a flashlight from surefire or any other brand, it is vital to know how long it will function. Some flashlights will just offer hours of use while others run for more than 4 hours. Most of the surefire lights have a longer runtime and will sustain you through your shooting practice or when in an emergency. The surefire x400 torch has a runtime of 1.75 hours. This is a great time and it will allow the user execute their duty well. Reliability – unlike other flashlight brands on the market, surefire flashlights are reliable due to their strong construction and consistent illumination. The light offered by surefire lights is bright without dark spots or rings in it. This means that you will see the whole target spot as it is and without any interference like in poorly made flashlights. Use – surefire creates versatile flashlights that can be used in various situations or different groups of people. The surefire X400 ultra LED light is used by the military, law enforcement, hunters, and in self defense. This makes it to be versatile and a great addition for gun lovers. Brand – the surefire is one of the most famous flashlight brands on the market. It also has some of the best tactical lights with outstanding features. That’s why it is rated highly and its flashlights can be found almost everywhere around the globe. The surefire X400 ultra light is a powerful weapon flashlight. It can be used by the military, hunters, for self defense, and by law enforcers. Not only is this light durably created but as well can be used with much ease. The 600 lumens that it comes with offers enough illumination for use in very dark places and the momentary on function can be utilized to disorient an enemy. Also, it railed hand guns and long guns can be attached to its aluminum T-slot mounting system, so long as they have MIL-STD 1913 rails.